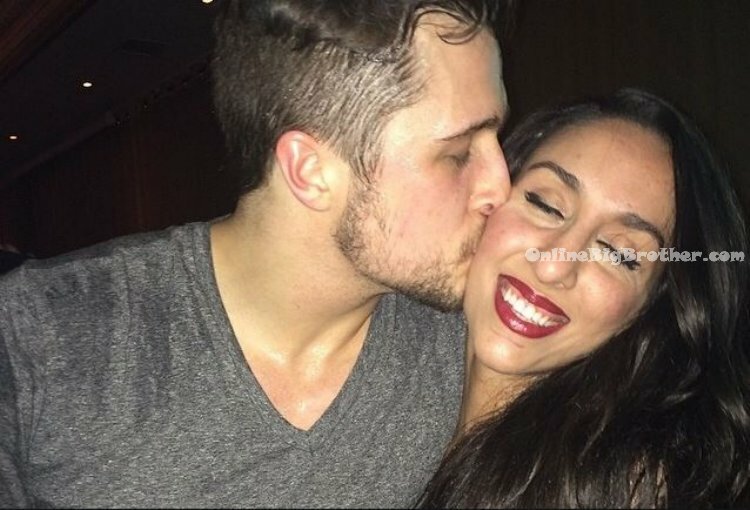 Big Brother Spoilers > Big Brother Canada > Season 2 > Big Brother Canada 2: Jon Pardy & Neda Kalantar are Officially Dating! Despite how Big Brother Canada 2 winner Jon Pardy and Neda Kalantar denied their chemistry for each other to the cameras during Big Brother Canada 2, it was obvious to the viewers that there was more there between them. They often justified and described their relationship as a “brother / sister” relationship. Jon stated that he “loved Neda like a sister”. Hiding their true feelings for each other was due to the fact that Jon entered the house in a relationship and starting a showmance / romance before ending his current relationship was not a line he was willing to cross. Neda often got annoyed when the other house guests would bring up her & Jon flirting / sleeping in the same bed. Throughout the season Jon and Neda often wrestled and were attached at the hip for entire game. Jon started to go stir crazy when Neda disappeared for 24 hours while she was in the War Room. Below are photos of Neda writing her name on Jon’s leg. WAKE UP CANADA! @ETCanada has confirmed #BBCAN2'S @JonPardyBBCAN2 & @NedaBBCAN are dating! Stay tuned for their first interview as a couple! At the “Big Brother Canada” Season 2 finale taping (at which I was present), once Jon was pronounced the winner, there was obvious friction onstage between Pardy and his girlfriend. When he stopped to hug Kalantar, who was still stinging after Pardy eliminated her, Janelle was there next to him, glaring. Following the Big Brother Canada 2 finale Jon and his then girlfriend Janelle broke up. How i never saw that kiss????? It was in the hall from the hot tub. He called her a pervert and went to the other side of the hall where the cameras where. They wrestled for a awhile. Neda apologized to Janelle. It was very quick. I love these two together. I guess they got to the point where they couldn’t deny it anymore. I knew the sister stuff was bs when I saw Janelle who looks like Neda as a redhead. The chemistry between Neda and Jon is off the charts. They are both so hot. Janelle is really cool. She handled all this with such class. Best of luck to all of them. Definitely not a surprise at all lol. It’s only season two, All-Stars would be a good 5 seasons away. That’s a very long term commitment if they are only doing it for show. Haha. Shiw businesses is a scummy business. Don’t forget mike boogiee did it with Krista and they guy doesn’t even LIKE WOMEN,Mke boogie is GAY! Not that I have issues with gays, but I do have one with phonies who pretend to like women to get back on tv. i knew it lol… this was so obvious from the live feeds.. I hope you both return for all stars in future! All the best Jon and Neda! Saw Jon & Neda at Needs in GFW last night. Didn’t know they were a couple until I asked where the girlfriend was. Jon was upfront and honest and I felt like an idiot for asking. I even bought two NL Heralds with stories of him, but never read about the break up. I could clearly see that they were both interested in one another while watching the show and I enjoyed the hilarious moments thoroughly. I rooted for Jon all the way, not because I knew him, but because of his character. Best of luck to Jon & Neda! I feel bad for Janelle, but she will find true love someday. Forgot to ask Jon after he told me that they will be moving to Toronto if his dog will be joining them. Neda and Jon are so adorable ! I love the way he looks at her ! Amazing couple congrats FINALLY !